Rotate or React. Shelly asked how often should we be retesting and how often should to rotate foods. 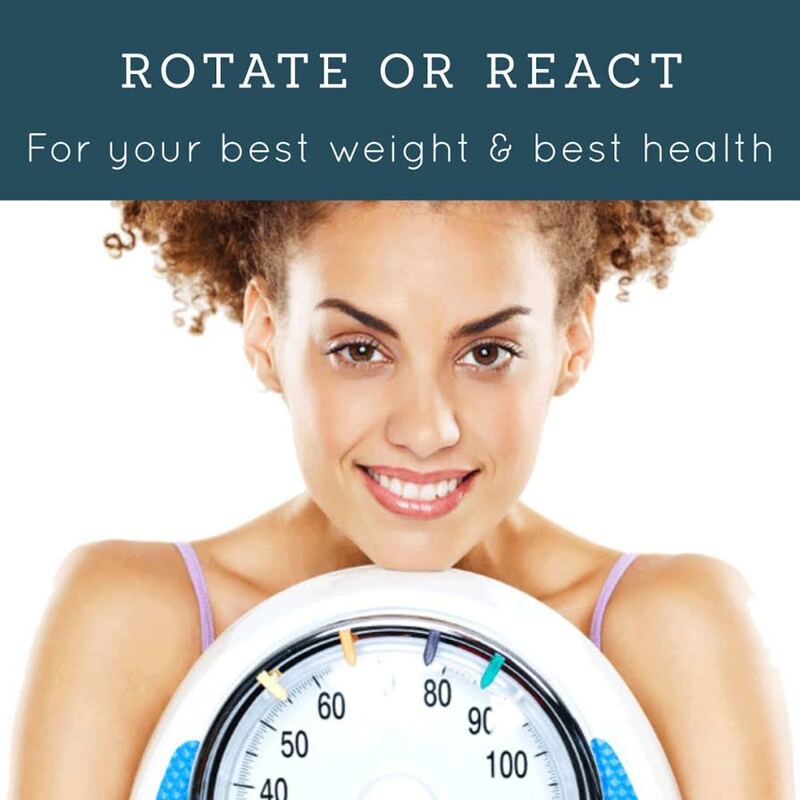 Remember that rotating foods that work for your chemistry is the best way to keep losing weight, be at your healthiest and not build up food sensitivities which cause inflammation. Great questions, so here you go! Wheat is best every other day and frankly so is every food once you get enough in your arsenal. So if you have kale, broccoli, sunflower seeds, chicken and pizza on Monday, don’t have them again until Wednesday. Make sure to test once a year and for every 50 pounds lost. You don’t have to restart from The Cleanse, you can start at day 3 and have it as a regular day, so coffee and wine is fine! What happens if you failed a food? Does that means you should never eat it again? Retesting depends on how much weight you gained. If you gained less than .5 lbs, then I would suggest retesting in 6-12 months. If you gain a pound or more, definitely wait a year to retest. And don’t give up! Remember, I lost eggs, they were my mortal enemy, and now they are back! Brayden couldn’t eat any wheat and he took a year break. Now he has wheat every other day!